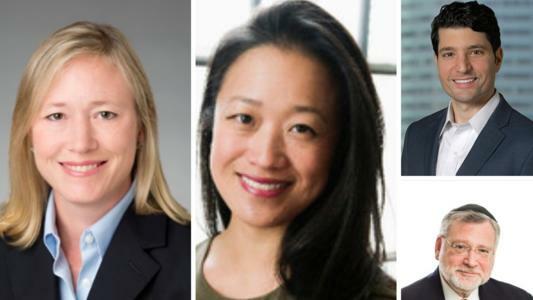 As the US litigation funding market continues to thrive, two key third-party dispute funders made significant strategic hires this week in New York City: Bentham IMF brought on Dana MacGrath from Sidley Austin and Sarah Tsou from Kirkland & Ellis, while Validity Finance welcomed William Marra, previously a litigator at Cooper & Kirk, and new board member Allen Fagin, formerly a chairman of Proskauer Rose. The competition here is interesting, not least because Validity Finance is run by Ralph Sutton, former Chief Investment Officer at Bentham IMF. Validity’s hires are perhaps less high-profile, but the company is still young: launched in June 2018, it already has three offices in the US, with one in Houston and another in Chicago. Given that Marra’s previous background encompassed commercial, regulatory and constitutional cases, he will be well-positioned to assess a range of claims as portfolio counsel. Fagin is an interesting choice: he is well-known for his expertise in labour and employment litigation, which is not a field that has attracted much third-party funding, but his managerial experience at Proskauer Rose will be a useful steering hand for the fledgling funder. Validity has also retained white-collar crime expert and formal federal judge John Gleeson, a partner at Debevoise & Plimpton, as outside counsel. Meanwhile, as international arbitration continues to attract more and more outside funding, Bentham IMF has acted accordingly. MacGrath was a young partner at Sidley Austin, having only officially made partner earlier this month, but had a wide range of experience in international arbitration at leading arbitral centres; she has acted as arbitrator as well as counsel. She will be advising on Bentham’s commercial litigation funding commitments as well as leading its international arbitration funding. Intellectual property, particularly patents, is another rich seam of third-party funding in the US market, and so Bentham’s hiring of patent litigator Tsou from Kirkland & Ellis makes sense. Given the sheer volume of patent claims fielded by litigation funders, the proportion of patent claims that make it through the funding vetting process is relatively low (notably less than 3%), and so a sharp eye for meritorious patent claims will be vital in saving time. Time, after all, is one of the key metrics funders are using to distinguish themselves from each other. As for trends in future hires, insolvency as well as patents and international arbitration will likely be a fertile source of poachable partners-turned-investment-officers. Fortress Investment Group has been active in funding IP claims in the San Francisco Bay Area; there will probably be an increase in litigation funding activity on the West Coast in the coming years, with either new third-party funders springing up, or existing funders establishing new offices.